Steve crosses the line with his children. The “Race Across the Sky” is without a doubt the most physically demanding thing I have ever experienced in my life – but the reward is everlasting. The preparation for this epic is both physical and mental – if you compromise either, you will pay the penalty. 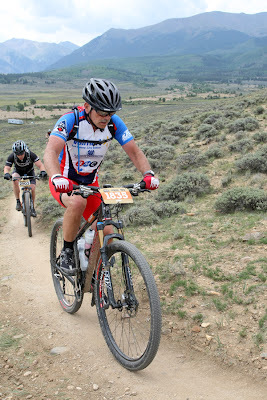 In preparing for the 2012 LT100, I focused on not only maintaining fitness but improving my skills by racing the Arkansas MTB Championship Marathon Series. I finished 9th in the Ouachita Challenge and 4th in the Slobberknocker. I rolled the 2012 LT100 start with a much better attack plan for the course as evidenced by shaving over an hour off my 2011 time and achieving my goal of a 10er. My goal this year was to get a “10er” – anything under 11 hours. I shaved an hour and 7 minutes off my time last year: 11:39 last year; 10:32 this year (chip time). I finished 97 out of 258 (who rolled the start) in the Men’s 50-59 division. The starting field was 3,500. More than 1,400 finished under 12 hours, which is an event record. Just like life, it’s all about setting goals for yourself and committing to achieve them. 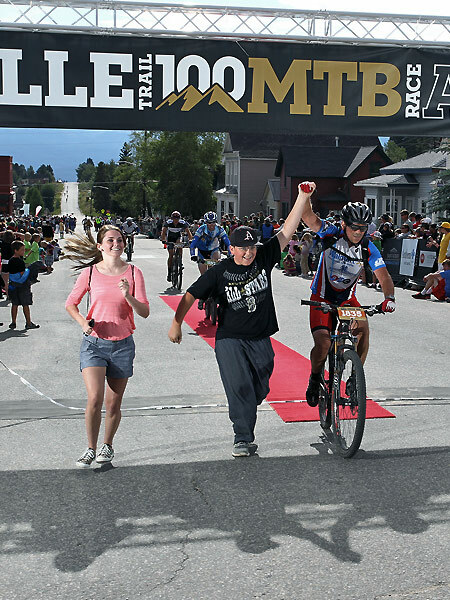 If anything, I hope to have inspired others (especially my children who crossed the 2012 LT100 finish line with me on the red carpet) to always have goals for yourself. Yes, the climb can be epic, but the reward will serve you always! Steve, congratulations on your “10er,” achieving an epic goal, and being the first Arkansan in your age group to finish! For more stories about the race, check out Arkansas Outside. You can read about Steve's 2011 Leadville 100 here.